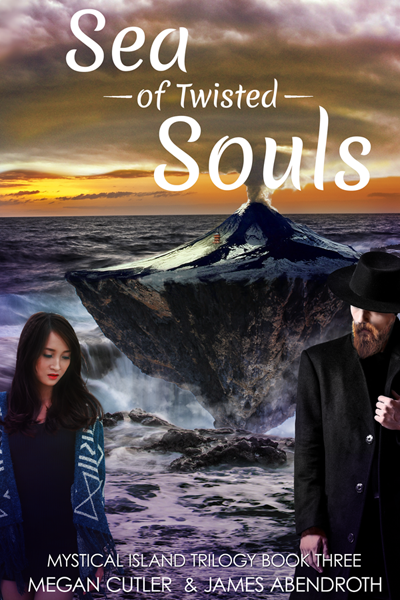 Book three of the Mystical Island series. Morulin received a tingle of warning from the island just before several windows along the top floor of the bathhouse shattered. “Down!” Damian cried, diving in her direction. But she had already dropped to her knees. Morulin threw her hands over her head as howling wind whooshed down the mountain. It swirled over their heads, tearing delicate blossoms from bushes lining the courtyard paths. Voices cried in the storm. She could almost decipher elongated words, but the wind stole them away. Though she spotted only thick fog when she peeked through her elbows, magic pulsed within the whirlwind. Burning an image into her mind, Morulin reached for a location halfway across the island. Wrapped in magical energy, she traversed the distance in the blink of an eye. Surprise flickered across her parent’s faces when she appeared on the opposite side of the ravine. With a wiggle of his finger, the lord of the island wove a magic net as intricate and delicate as a spider’s web. Without a word, his wife entwined a matching pattern. Morulin added her arcane abilities to the lattice.